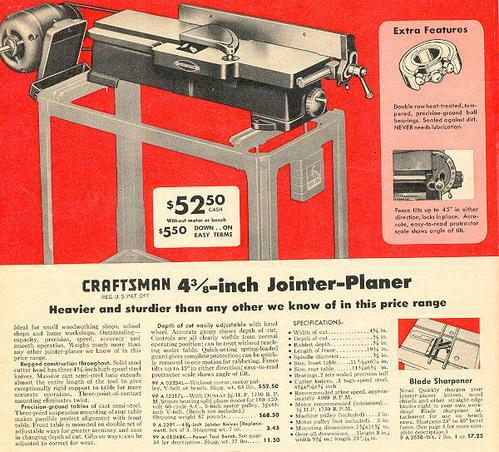 Craftsman's parts list and manual [available elsewhere on this web site] shows this machine as a 4-3/8" jointer, but it is better known as a 4" Craftsman jointer. 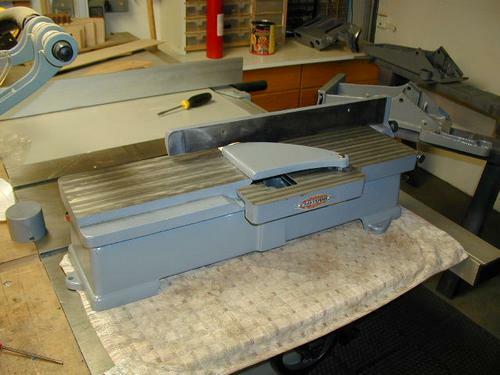 I answered a classified ad for a "free" jointer and this is the little fellow that followed me home. I felt guilty about taking it for nothing and so donated a 12 pack of Bud to the former owner. It has been fully restored including re-milling the tables because they were badly rusted and pitted. I have a friend with a milling machine and we re-ground the tables with a fly cutter just for fun. The machine has a rather crude method of setting the tables parallel to one an another - basically four fack screws. It is a well built little machine. 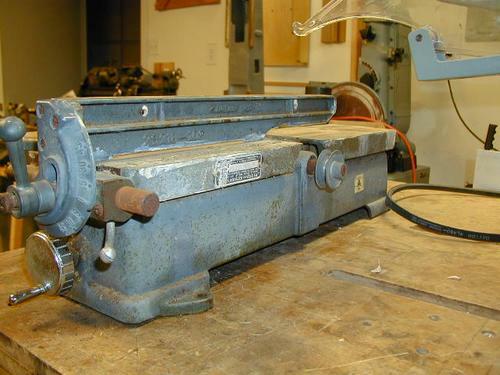 It is a "keeper" which I will use to augment my 12" jointer for small quick jobs. Of course, if something more interesting come along it will go on the block.